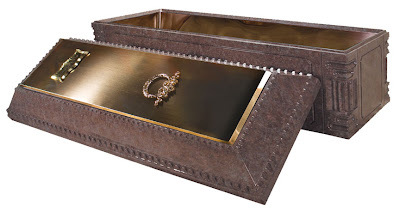 The Elite provides the highest possible level of structural integrity in a burial vault. It also provides the families you serve with peace of mind. The patented Trigard arch design, thermoformed polymer interior liner, hand-crafted metal insert liners, reinforced concrete core, tongue and groove design with tape seal, and external high impact polymer layer add beauty and strength to the Elite. The Elite is available in your choice of rose granite, white marble and black marble finishes. Additionally, your family has a choice of stainless steel, copper or bronze interior lining and metal exterior cap. Offer your families the protection they deserve. Visit the dealer area of our website, or call Customer Service at 800.637.1992.